A quick internet search will show you the vast studies that have been undertaken to determine the traits of the most successful people and leaders in the world. There is an endless stream of books, videos, and various resources about leadership. It’s something that we all talk about, we debate it, and there’s a good reason it’s such a popular topic. Every leader wants to be a great one. Every business wants great leaders, and many of them will do what it takes to ensure they get them. But the question is, what makes a great leader? 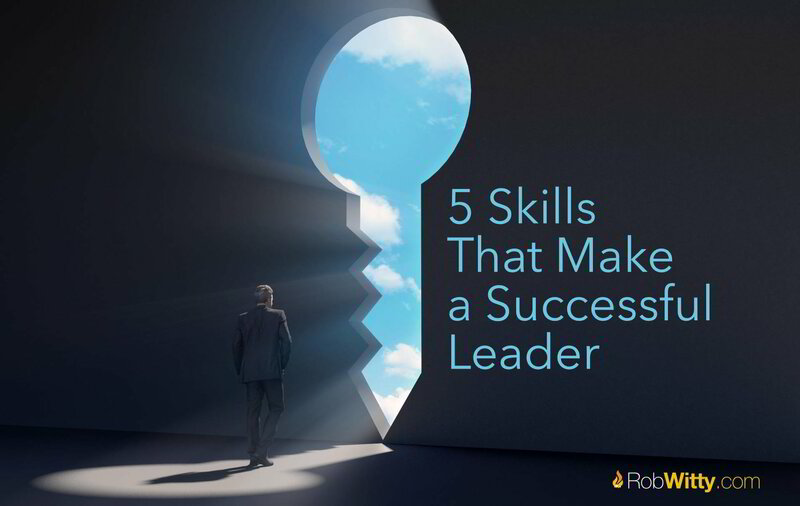 Here are 5 traits and skills that in my opinion, every great leader has. Often ranked as the most important trait for any leader, you are nothing without your integrity. It’s difficult to obtain success when you don’t possess integrity (and honesty). They are two of the most ingredients in the recipe for creating a great leader. Leaders need followers, and how can you expect anyone to follow you if you aren’t honest with them? Moreover, how can you expect them to be honest if you aren’t? Leadership requires values, and once you have set yours, you have to stick to them. In order to lead effectively, you have to be confident. You have to have confidence in yourself, your decisions, and your directions. If you are indecisive, your followers will not follow. Great leaders have a bit of 'cool', you need that kind of confidence to inspire your followers. Don’t conflate this with arrogance, you can be confident and assertive without slipping into arrogance. The most difficult aspect of leadership is getting people to follow you. That’s why you need to be an inspiring leader. To be an inspiration you have to set a good example. When things get rough, they will look to you to see how you react. If you react well, then they will be inspired and follow you. You need a positive approach and this positivity will be displayed in your actions. When you remain calm in high-pressure situations, it’s easy to maintain motivation in a team. When your followers look up to you, they are more likely to put everything into the task at hand. They won’t be passionate unless you are. When your business partners see you get your hands dirty and maintain your motivation and passion, they are more likely to do the same. Additionally, it inspires respect and energizes a team. Ultimately, they will perform better under these circumstances. If you aren’t fully committed, why should they be? It’s an uphill battle for a leader who lacks passion and commitment. How can you lead if you can’t accurately communicate your plans and visions? Your team can’t be effective if you don’t provide them with a strategy to achieve the vision. You can’t just let them go and hope for the best. What’s your message? How can you effectively communicate that to your team? You can motivate your team with words, but you can also tear them down. How do you use words with your team? Have you unknowingly allowed negativity to creep into your team? Effective communication is just one of the skills that makes a great leader, but it’s the one that can make or break your team in terms of success. How many of these skills do you possess now? Hey, don’t lose heart if you need to work on any of them, the beauty of leadership is that it’s a skill that can be improved upon. You don’t have to be a born leader to find success as a great leader. It’s something that anyone and everyone can work on. I'm Rob, welcome to my blog. Please enjoy my posts, cheers.